Make-up air is designed to “make up” the air in your interior space that has been removed due to process exhaust fans. This type of HVAC solution pulls in fresh, tempered air from outside your building to replace existing air that cannot be recirculated. A make-up air solution is recommended for buildings where environmental conditions warrant a greater need for ventilation not only to improve the quality of air within the building, but also protect the health of those inside. WHAT PROBLEMS CAN MAKE-UP AIR SOLVE? Standard make-up air units are designed to provide a building with tempered fresh air, both heated and cooled, to offset air that is exhausted by other mechanical means. When the space in a home or building is ventilated and not replenished from another air source, the result is depressurization. Consequently, air from the outside will seep through drafty homes and buildings, or if the space is sealed tight ventilation systems will have difficulty exhausting the air. Reaching high Indoor Air Quality (IAQ) is the main driver behind the need for make-up air units. Whether it is the removal of contaminants in the air or providing a comfortable temperature, there are many ways to improve IAQ. 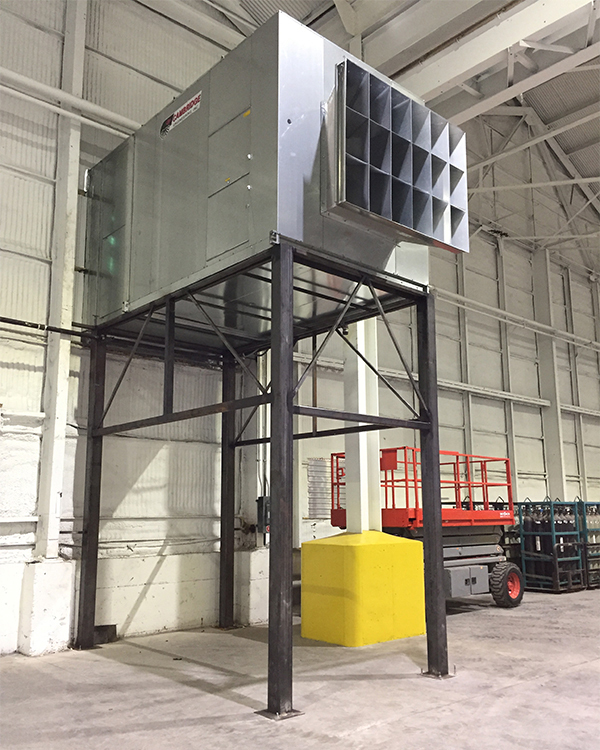 In most industrial and commercial applications, a make-up air solution is a much more effective method compared to typical ventilation fans at reaching an IAQ that greatly improves the safety and comfort of those inside while also not affecting energy efficiency. High-bay buildings are some of the easiest types of structures to work with when implementing a make-up air solution. For a high-bay warehouse or distribution center to meet the ASHRAE 62.1 standard and local building codes, the natural infiltration rate of the building is often enough to satisfy the fresh-air requirements during occupied hours. As building envelopes become tighter and more efficient, these buildings may need mechanical ventilation to meet local codes. But the ventilation considerations do not end there. Regardless of whether your building relies on natural infiltration or mechanical ventilation, both methods require you to address the temperature of the outdoor air entering the building. While simple ventilation fans can help provide fresh, comfortable IAQ in buildings in more temperate climates, using unconditioned outdoor air to ventilate a building located in a region with cold winters or hot summers can create uncomfortable temperatures for the workforce. Make-up air systems are ideal for tempering the outside air to improve the comfort and safety of those inside. Ventilation factors move to an entirely different level when considering industrial facilities. From pharmaceutical manufacturing plants to auto assembly plants to even wastewater and sewage treatment facilities, industrial environments of all sorts have different processes happening inside. These factors dictate the type and amount of mechanical ventilation needed to meet IAQ standards. Even though these structures experience infiltration of outside air just like a warehouse, the amount of incoming air will not match the amount of mechanical exhaust that an industrial plant has in place to ventilate the facility. Industrial facilities require an in-depth study on the amount of exhaust cubic feet per minute (CFM) and the location of the exhaust fans to understand the make-up air options for replenishing the air, while maintaining a neutral pressurization, high IAQ and comfortable working temperatures. 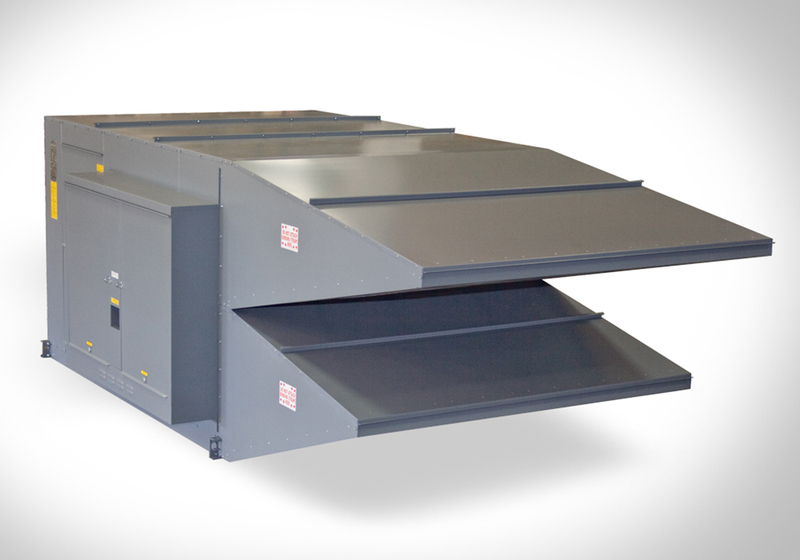 Standard ventilation fans bring in the outside air “as is” without heating or tempering. If the outside temperature is 100° F with 85% relative humidity, then a standard ventilation fan is bringing in 100° F with 85% relative humidity air. Likewise, if the outside air temperature is -10° F, then the ventilation fan is bringing in -10° F air. With a make-up air unit, that same -10° F air can be tempered to 50° F. This means the heating system wouldn’t be required to work any harder than is necessary nor would it waste energy. Cambridge Engineering is a leader in commercial and industrial make-up air solutions. The M-Series make-up air units are on the cutting edge of make-up air technology and boast many unique features other systems on the market cannot duplicate. The M-Series System can be installed in new construction projects, as part of a plant expansion, a renovation, as part of an HVAC (Heating, Ventilation & Air Conditioning) upgrade or an industrial retrofit. 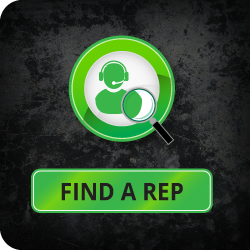 Contact us today to speak with one of our experts to learn more and discuss your project in detail.